A commuter's dream! 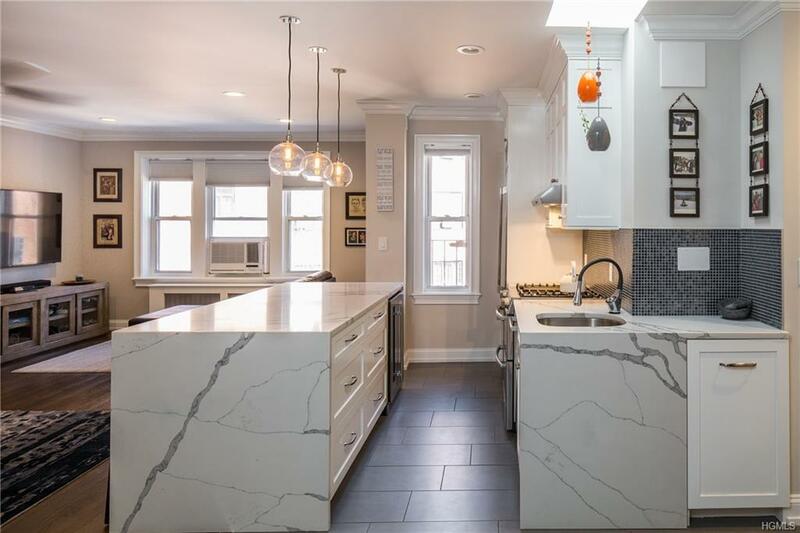 Stunning, gut renovated, modern, top floor studio in elevator building just a few blocks from Bronxville's Metro North, shops, and restaurants. 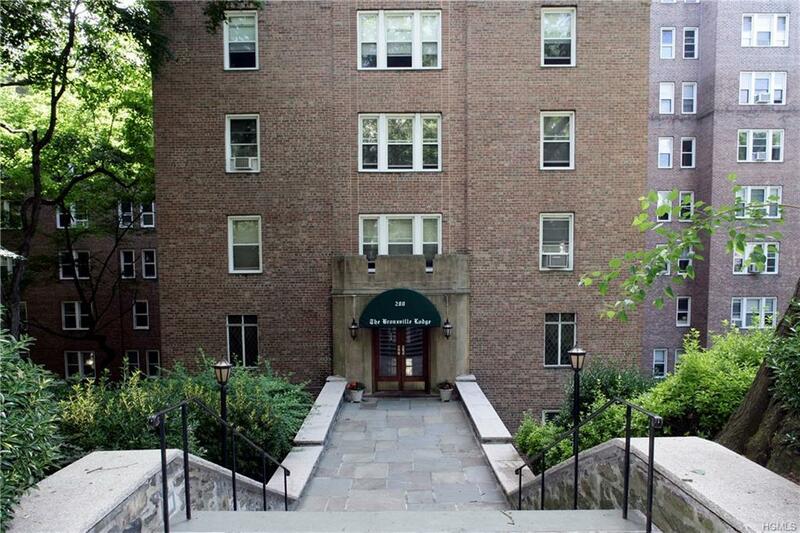 A light filled luxury studio with new kitchen and bath in classic pre-war building. Spacious mudroom entry area with tile floor, custom coat rack and crown moldings greets guests to oversized living area. 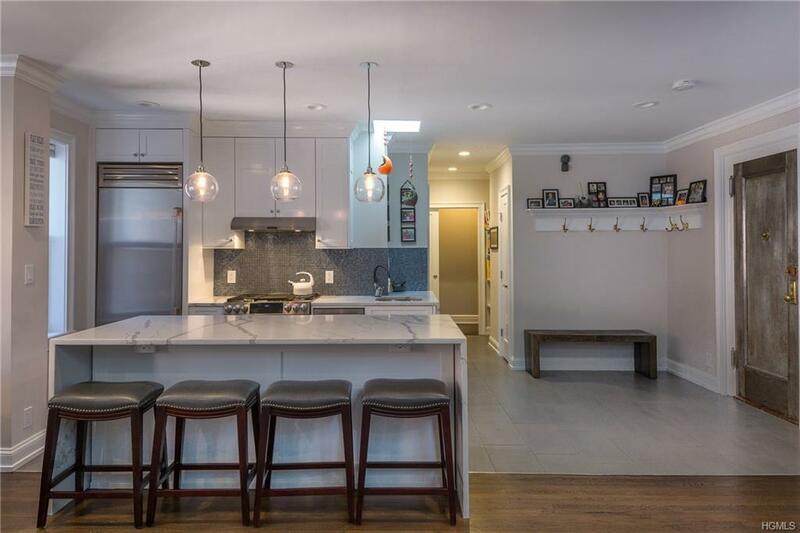 Totally renovated kitchen with custom cabinets, quartz countertops and island, SS appliances, wine refrigerator and skylight. Completely renovated bathroom with Grohe fixtures. Custom built-in shelving and Elfa system closets with refinished floors throughout. 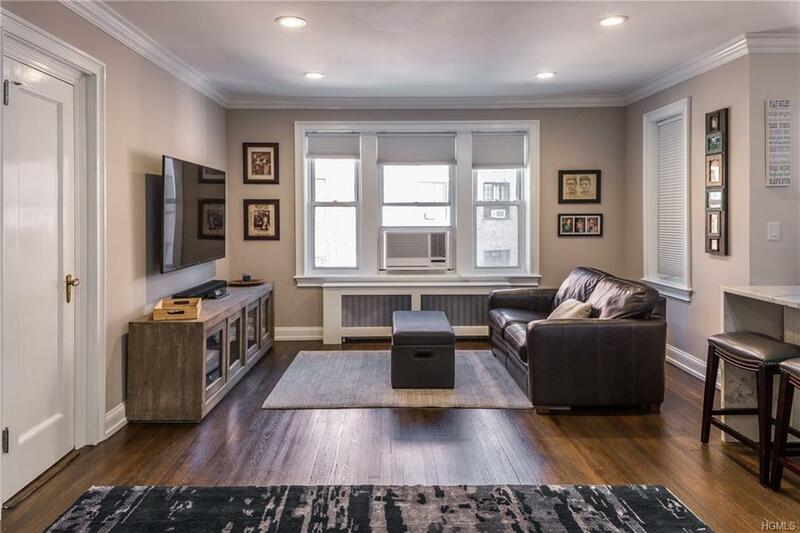 Special Note: The adjacent, and currently connected, Unit #7X is a 3 bedroom/1,679sf unit also available for purchase for $678K. The combined units total 2,279 sf - equivalent to a small house.